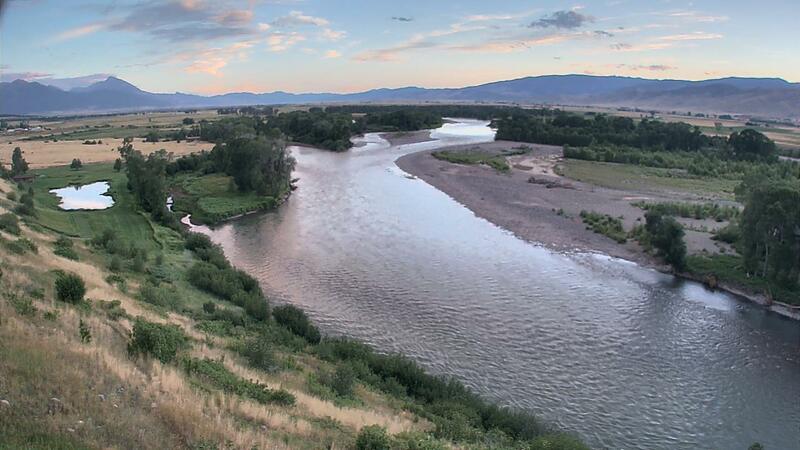 The Madison River has started to clear and the fishing is picking up. The past few evenings there have been solid caddis hatches on the upper stretches of river near 3$ Bridge and Reynolds Pass. Fish are rising to opportunity, but was not super consistent yesterday evening. The hatch began around 6:30 PM and died down getting closer 8PM. Fishing was solid when fishing subsurface. Pat's Rubber Legs, larger stonefly nymphs and Hare's ears seemed to do the trick when fish weren't rising to the surface. This brown trout was taken on a #14 Olive Hare's Ear just before the sun set.